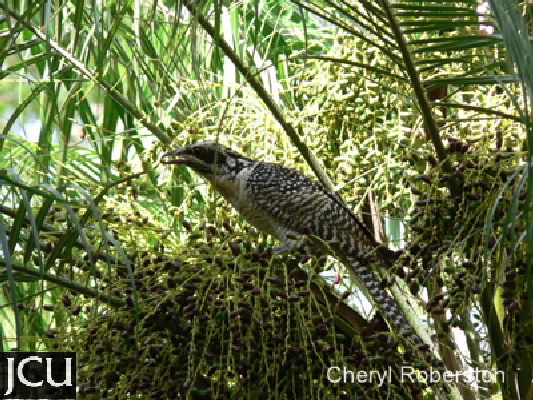 This bird can be found wherever there is plenty of fruit and is common around the campus during summer. 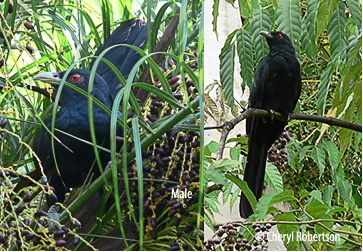 Male is a glossy blue-black including the tail, legs and feet are grey, eyes red and prominent. 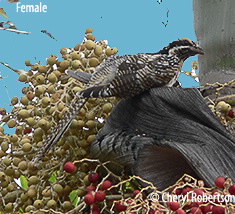 Female has a black head but the upperparts of the body are brown spotted with white and her tail is brown with white bars. Legs and feet are grey, eyes red, bill pale.